This stock is among the best-quality, global growth stories in its sector, argues our top stock-picker. Despite a mixed profile of US corporate reporting for the fourth quarter of 2018, especially the 2019 outlook, equities have broadly recovered back to early December levels. The chief driver has been communications by the authorities, aimed at reassuring markets that monetary policy will shift from tightening to accommodative. It started with the US treasury secretary convening a call with top banks on 23 December, after the stock market had its worst December since the Great Depression, then publicising it. Moreover, the Federal Reserve appears to have succumbed to President Trump's tweets and jibes as to why it is raising interest rates: a 1.5%-plus surge in the US market this last Wednesday coming after it effectively ditched the prospect of further interest rate rises and reducing its balance sheet after the quantitative easing (QE) years. Investors had feared monetary tightening had coincided with a cyclical peak in corporate earnings and some economic indicators weakening. Thus, a new "Goldilocks" scenario is sensed, where US growth remains strong enough to support corporate profits without forcing the Fed to be more aggressive. Trading opportunities can therefore exist both in stocks warning and those beating expectations. 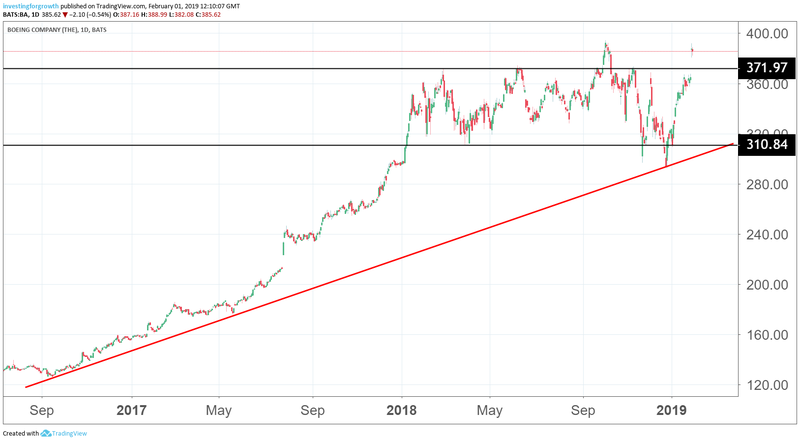 Apple (NASDAQ:AAPL) (AAPL) has jumped 7% despite posting Q4 falls in revenue/profit and cautioning how weakness in its core iPhone business and in China, has continued into 2019. Expectations were already low, hence a stock rebound simply on their confirmation. Those companies beating expectations are broadly momentum plays, and more investors can watch for price setbacks to price-average into. Boeing Co (NYSE:BA) is a prime example: Q4 2018 achieved a 14% hike in revenue with the full year up 8% to $101 billion (see table), as organic investment matures. Jet deliveries are typically up 5-6%, income from commercial jets leapt 45% and 2019 revenues are guided at $109.5 billion to $111.5 billion – a substantial hike for a $220 billion company. Such highlights scotched fears that Boeing could suffer from US/China trade tensions, which had contributed to the stock falling – in a volatile downtrend – from $392 in early October to $305 last 24 December. This, however, was in context of a strong two-year rally from about $130, and at the recent $305 low the historic price/earnings (PE) ratio was 18 times, yielding near 3%. The stock advanced 20% from its recent low to about $365 pre results, adding about 6% to $388 currently, where the PE stands near 23 times and the yield just over 2%. To British investors focused on raw financial detail, Boeing can look an unidentifiable beast; too big to rate in the growth stock league, we typically identify best with small to mid-cap firms. After a decade of net monetary stimulus from central banks since 2008, it's fair to wonder if this has disguised an underlying cyclicality in aerospace. A bearish reading would be to beware times when long-term cyclical industries end up rated as growth stocks. Boeing and Airbus (XETRA:AIR) dominate commercial aerospace and, looking at Airbus on the Paris bourse, it enjoys an historic PE of 26 and 1.5% yield. Medium-term cyclical risk should be mitigated by a total backlog of 5,900 planes worth $412 billion, which should buttress Boeing's financial performance for the next few years. Boeing's CEO speaks of "leveraging strong growth in the aerospace industry to ramp up commercial airline production and drive profit and cash flow, also we're seeing fundamental strength in our defence and services businesses, so this is a story of all three of our business segments driving top and bottom-line growth." Such is the fruit of a "One Boeing" initiative over the last five years, with strategic priority areas to make the group more cohesive, and reflected in the segmental results (despite a couple of twists). 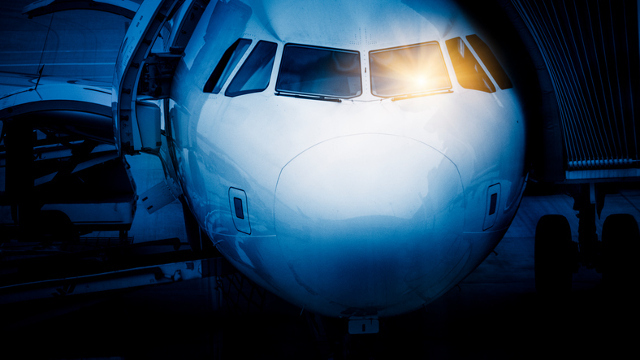 Commercial airlines deliveries rose 5.6% to 806 over 2018, the operating margin up from 9.4% to 13% and earnings by 44.5% to $7.9 billion. Some 262 net orders were taken in Q4, valued at $16 billion, taking the backlog to $412 billion. Defence, space and security saw 2018 earnings slip 27% to $1.6 billion despite revenues up 12.8% to $23.2 billion, due to its operating margin falling from 10.7% to 6.9%. It recovered, however, to 10.9% in Q4 with a more favourable product mix, including tactical satellite communications for the US airforce and a helicopter for the US army. Boeing is actually the world's second-largest defence company with 30% of this division's $57 billion backlog from customers outside the US; though it has benefited from over 20 Pentagon contracts last year, worth $13.7 billion. Defence spending by the Trump administration appears likely to stay robust. Global services had a modest slip in margin from 15.4% to 14.8%, hence earnings only 12.3% ahead at $2.5 billion despite revenues up 16.4% to $17 billion. This was primarily benefiting from higher parts sales by an acquisition, and margin recovered to 15% in Q4. Boeing's stock and its operations alike are sensitive to US/China relations, as evidenced by Q4 2018 volatility when trade talks hit challenges, and Boeing's boss declaring in the media how "the relationship between the US and China is pivotal to us, so we are very much engaged in the ongoing trade discussions." Among reasons for needing a successful conclusion to trade talks are so that both countries can prosper from the aerospace industry: it's estimated a total 43,000 new airplanes will be needed globally over the next 20 years, of which about 7,700 will be in China to help it diversify economic growth. Moreover, about 90% of Boeing's manufacturing jobs are in the US, although last December Boeing opened its first 737 completion plant in China, partly out of rivalry with Airbus in what is expected to become the world's largest aerospace market. US and Chinese negotiators have just resumed two days of talks against the 2 March deadline for the US to hike tariffs on Chinese imports soon after the US Justice Department filed criminal damages against Huawei, accusing the Chinese tech-giant of IP theft and violating US sanctions. Wrangling looks set to persist given the key US/Chinese positions seem irreconcilable, yet these countries are economically inter-dependent, so Boeing's long-term priority on China is correct. My conclusion is medium-term bullish for the stock with ongoing buying opportunities as trade conflict persists to hit sentiment. Boeing amounts to one of the best-quality, global growth stories in industrial engineering, with defensive qualities too given its strength of backlog. The stock's rating looks fair from a UK view, albeit relatively attractive in US market context and versus Airbus. It is likely to remain a priority for global portfolio managers. With fresh money: Buy on weakness. Edmond Jackson is a freelance contributor and not a direct employee of interactive investor.